Tommy stopped by the Krown Productions Sports Card Show on Saturday to show us the 1/1 Damian Lillard 2012-13 Panini Gold Standard Solid Gold (14Kt) ROOKIE CARD he got back from Panini America. 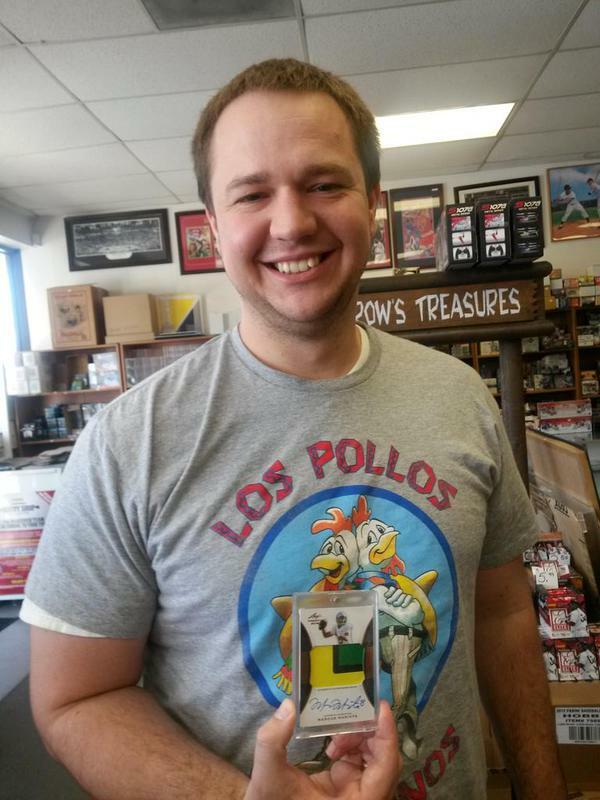 Tommy pulled the redemption for this card at Sports Cards Plus, a.k.a. The Super Hit Factory on June 28th and got it back from Panini in record time. At Sports Cards Plus you pick your box from The Best Cases in The Hobby at The Lowest Prices in The Galaxy. Our last case of 2015 Leaf Trinity Football is a prime example: Two Marcus Mariota Auto Patch RCs (one #d/25), One Jameis Winston Auto Inscription RC 1/25, an Amari Cooper Auto RC, a Kevin White Auto RC, a Todd Gurley Auto RC, a T. J. Yeldon Auto RC, and Bryce Petty Auto RC. 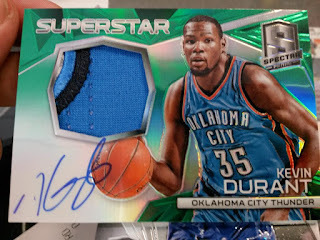 Russell came back to try a box of 2014-15 Spectra Basketball ($299.95 per box) and pulled a Kevin Durant On-Card Auto Jersey Patch 5/5. Yes, this is the same guy who pulled the 2014-15 Immaculate Basketball Andrew Wiggins Jumbo Jersey Patch RC 22/25 (matches Wiggins jersey number). Seth came in to try a couple of boxes. Here are Seth's two favorite hits, a 2014-15 Select Stephen Curry Auto Jersey #d/35 and 2014-15 Court Kings Andrew Wiggins Autographed RC #d/99. 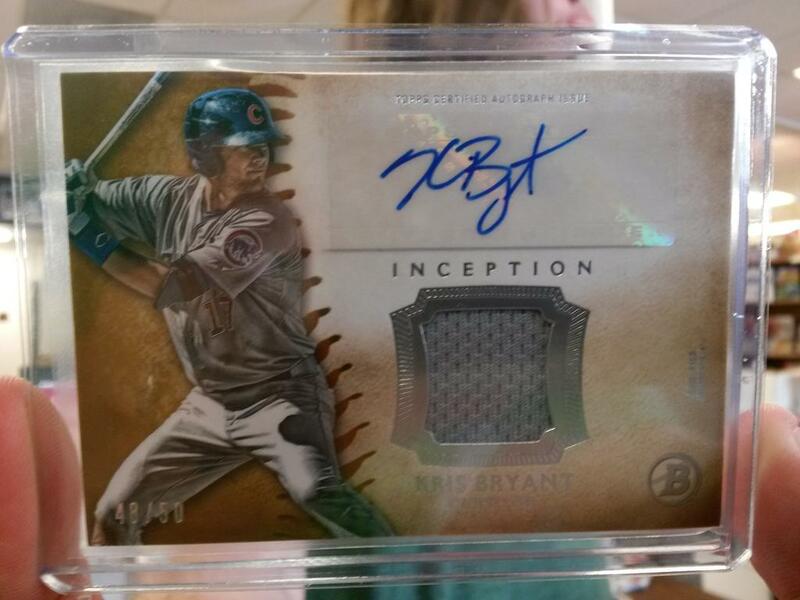 2015 Bowman Inception ($89.95) is a big hit at Sports Cards Plus with 5 Autographs per box. 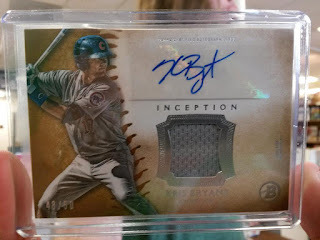 Brad tried a box and pulled this Kris Bryant Auto Jersey #d/50. Monte tried a box of 2014-15 Panini Prizm Basketball ($69.95) and pulled this Anthony Davis Gold Prizm Fireworks #d/10. Sometimes all it takes is just one pack. 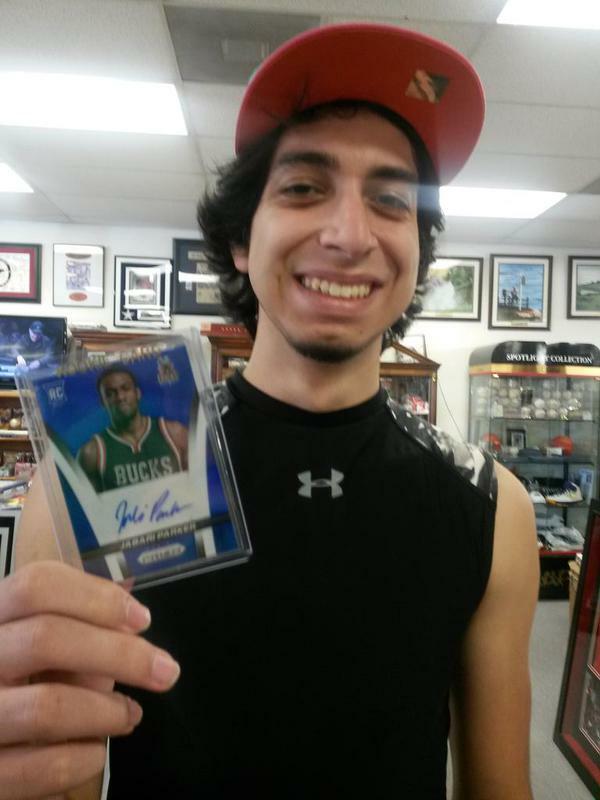 Gabriel tried one pack of 2014-15 Select Basketball from our counter and pulled this Jabarri Parker Blue Prizm Autographed RC. 2015 Upper Deck Marvel Fleer Retro gives you tons of great hits per box. The picture below is an example of just one box: 4 Autographs, 2 Precious Metal Gems, and 1 Original 1/1 Sketch Card. Don't be the guy who says, "That could have been my picture." Go to Sports Cards Plus TODAY and pull your fair share of Super Hits.